Magnesium is an important component in building and maintaining bone strength, and in addition is essential for the proper functioning of the heart, muscles, and even for the nervous system. 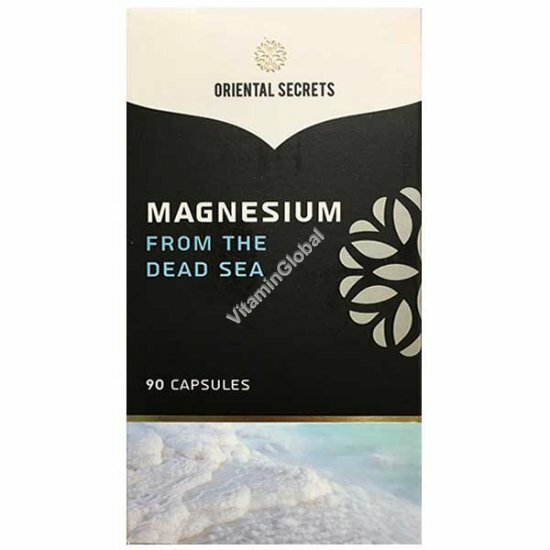 Magnesium From The Dead Sea is a high-quality magnesium oxide extracted from the Dead Sea. Magnesium From The Dead Sea is absorbed into the body very effectively. Directions: 1 capsule daily, before bedtime. Kosher LeMehadrin under the Rabbinical Supervision of Badatz Beit Yosef. Pregnant women, breastfeeding women, and people taking prescription medication - consult your doctor before using any supplement.